1. 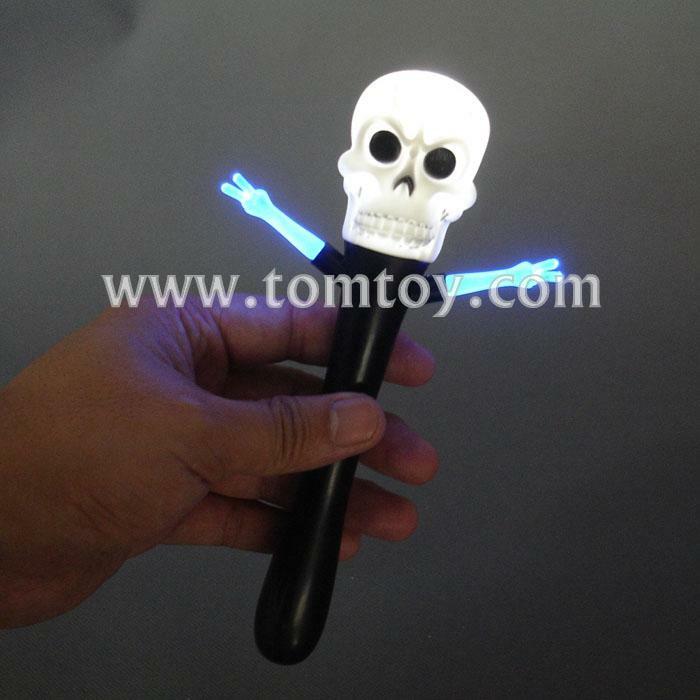 Our Halloween Skull Wand will be the best way to spook your friends or use as a scary Halloween costume accessory. 2. The red and blue light is alternatively flashing to light up the dark. 3. Perfect for gifts, party favors, halloween, stocking stuffers, baskets, special needs, therapy and so much more! 4. For Ages 3 and up - Fun for the whole family! 5. Batteries included and installed.